With less than a week until Election Day and her husband making gains in the poll, Melania Trump will speak in Pennsylvania, a critical battleground state. The event marks the first time that Trump will give a formal speech since her now-infamous Republican National Convention one, which appeared to many to have been plagiarized from Michelle Obama's 2008 Democratic National Convention speech. While Trump won't be speaking until this afternoon, excerpts of her speech have been released in advance — and it is all about keeping it in the family. From the excerpts, Trump will focus on softening her husband while addressing what kind of first lady she will be. According to the excerpts released from the campaign, Trump will talk of Donald's "deep love and respect for this country, and all of its people" and paint a picture of "this man I have known for 18 years." Melania Trump has been known for staying out of the spotlight of the campaign, with Trump's eldest daughter, Ivanka, often seen as taking on more of traditional first lady role this campaign. Ivanka has given more speeches and is considered to have a far greater influence over her father's campaign strategies and policies. Surrounded by our family, and speaking to an audience of millions, Donald promised to campaign on behalf of those those who feel the system is broken and does not work for them, those who just want a fair shake, an opportunity for a better education, a better-paying job, a better future. He pledged to restore integrity to Washington, and respect for America abroad. I have come here to talk about this man I have known for 18 years. And I have come here today to talk about our partnership, our family, and what I know for sure, in my heart, about this man who will Make America Great Again. I want our children in this country, and all around the world, to live a beautiful life, to be safe and secure. To dream freely of love and a family of their own someday. We need to teach our youth American values. Kindness, respect, compassion, charity, understanding, cooperation. 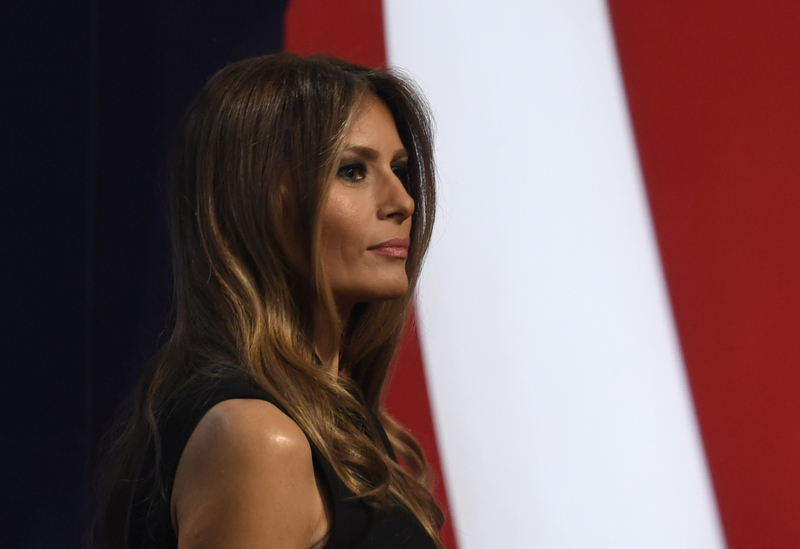 Whether this speech is a sign that Melania Trump will take on a more prominent role in the closing days of her husband's presidential campaign remains to be seen.